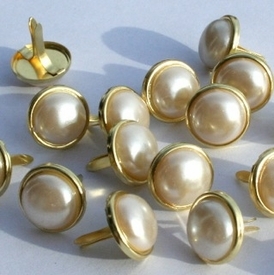 These pearl brads are spectacular. 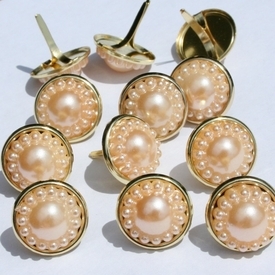 One round pearl with little round detail pearls around it. 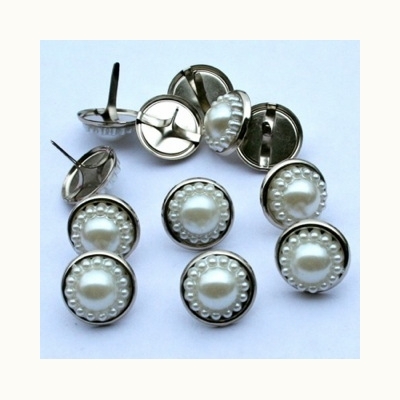 Pearl brads can be used for wedding invitations or just to add detail to scrapbook pages. 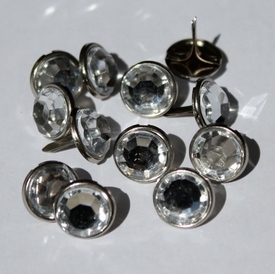 Pearl brads would make a fancy center for paper or fabric flowers. 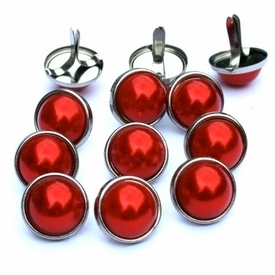 To apply pearl brads poke the prongs through your projects. Turn project over and bend the prongs of the pearl brad back. Brads are quiet, quick, and so easy to apply. 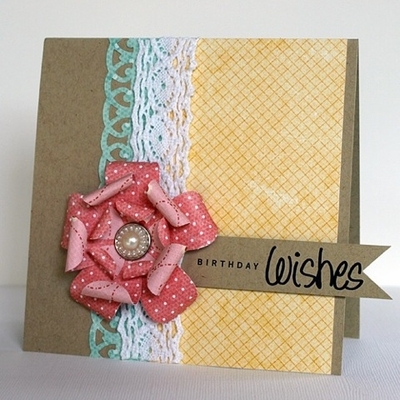 Embellishments add so much detail to any paper craft.